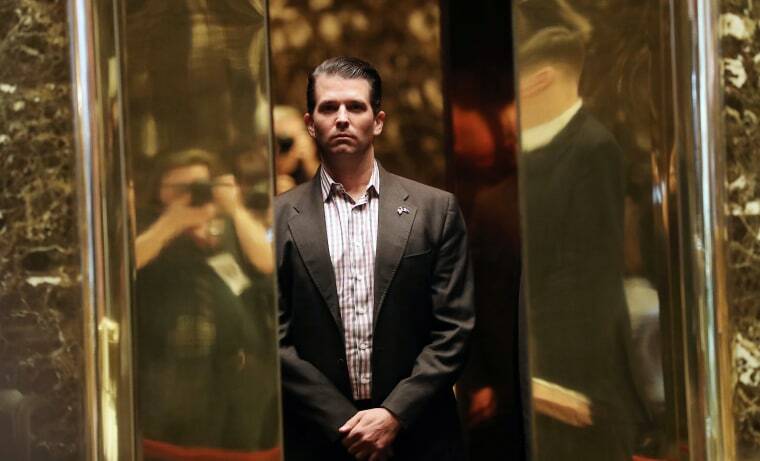 WASHINGTON — The White House said Tuesday that President Donald Trump "weighed in, as any father would" on his son Donald Trump Jr's statement regarding a meeting he had with a Russian lawyer last year. The Washington Post reported Monday night that Trump dictated his son's statement on Air Force One, claiming the get-together was to discuss the issue of U.S.-Russia adoptions. The statement turned out to have been misleading and inaccurate, as emails later released by Trump Jr. would show. White House Press Secretary Sarah Huckabee Sanders said Tuesday in an on-camera briefing, "there's no inaccuracy in the statement. The president weighed in, as any father would, based on the limited information he had." "This is a discussion, frankly, of no consequence," she added, noting that "there was no follow up" from the meeting at Trump Tower between Trump Jr., Jared Kushner, and Paul Manafort with Russian lawyer, Natalia Veselnitskaya, and others. President Trump's lawyer responded to the Washington Post report by calling it "fake news, misinformed, incorrect and of no consequence" in a statement to NBC News. But the emails released by Trump's eldest son showed he took the meeting because of a promise of compromising information about then-Democratic rival Hillary Clinton's campaign. The release of those emails came once The New York Times already had them and contacted Trump Jr. that they were planning on publishing. That the president was involved while flying back from the G20 on Air Force One with the initial Trump Jr. response had been previously reported. Investigations into allegations that the Trump campaign colluded with Russia during the 2016 election are still ongoing.